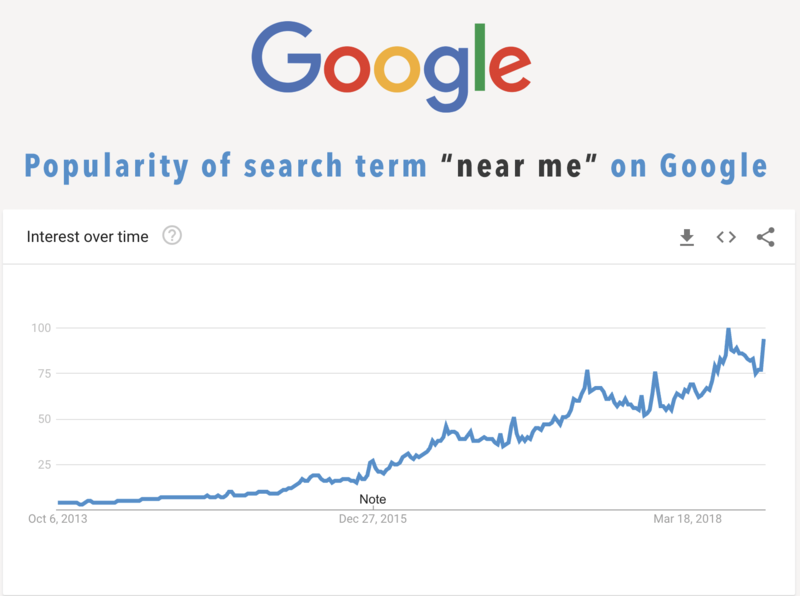 According to Google, the search term “near me” has increased in search volume over 400% in just the last 3 years! What does this mean for you as a practicing dentist? REMEMBER – The more website traffic and attention you can get from prospective patients in your local area searching online, the more new patient appointments you will secure. 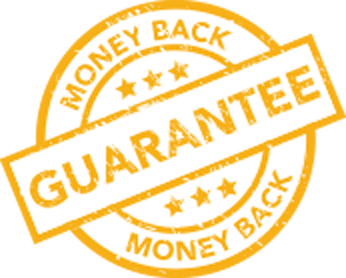 Firstly, understand and related to the fact that your patients are looking for convenience. Secondly, there is a strategy and way to increase your chances of being found for “Dentist Near me”. 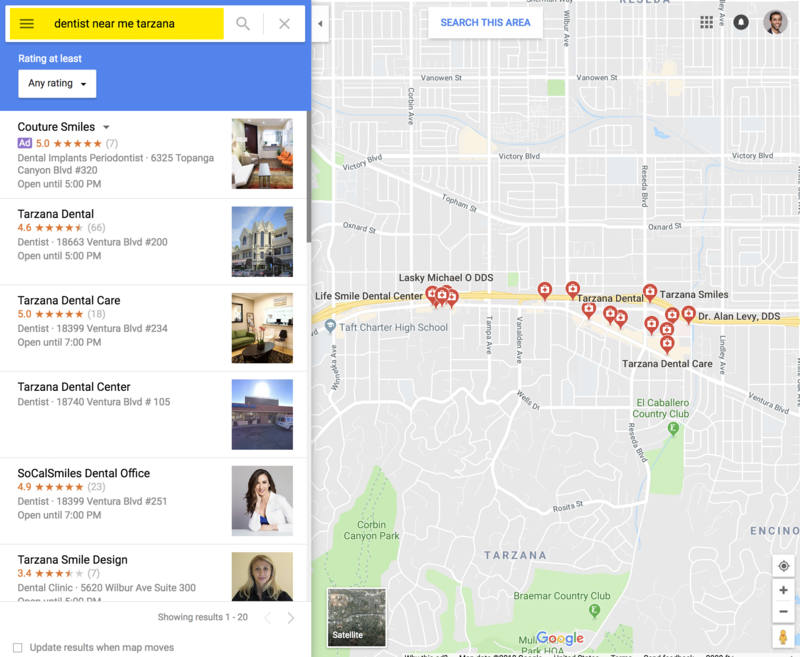 Make sure your Google map listing is claimed, and has accurate information about your practice, including address, hours, services offered, and website URL. To better enhance your profile, upload photos and videos of your office, dentist & staff. Instead of creating content and SEO pages on broad focused areas like “Los Angeles” – focus on hyper-targeted locations like: West Hollywood, CA. These days what matters even more than just convenience is quality dental care! 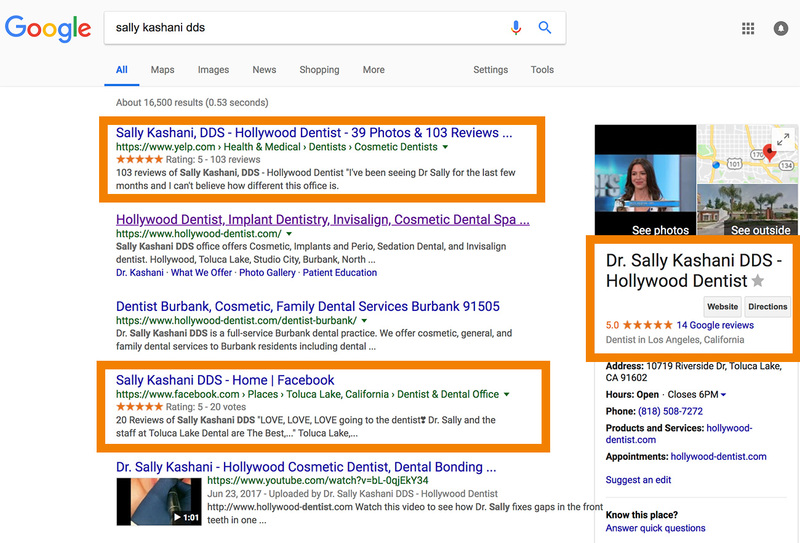 Dental practices that have many reviews, and a high star rating to go with, will benefit from higher rankings, and thus more exposure on Google. Call us directly at 888-980-4949 to speak with a dental marketing expert today. 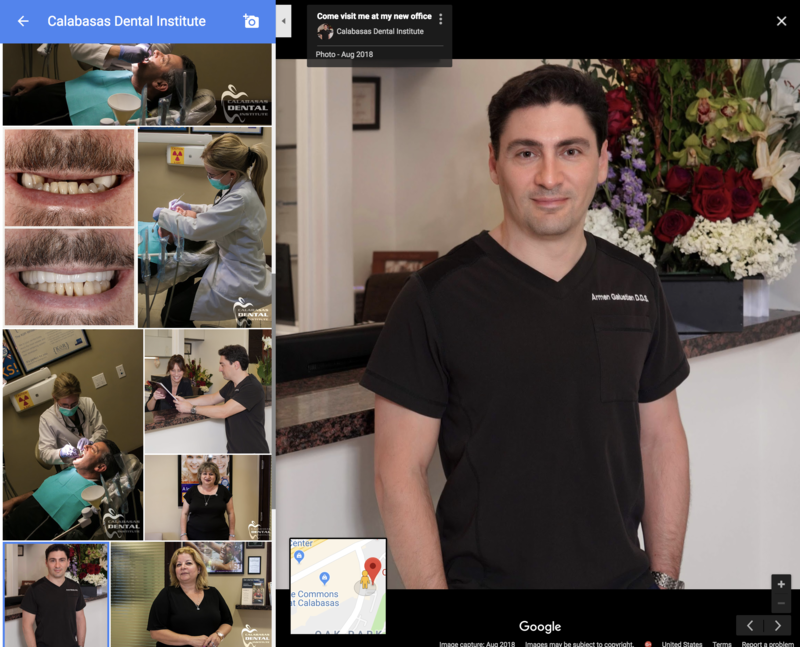 This entry was posted in Dental Marketing, Social Media Marketing Dentists and tagged Dental Marketing, dentist near me, google marketing for dentists, how to do seo for dentists, near me marketing google, new patients for dentists, seo for dentists. Bookmark the permalink.